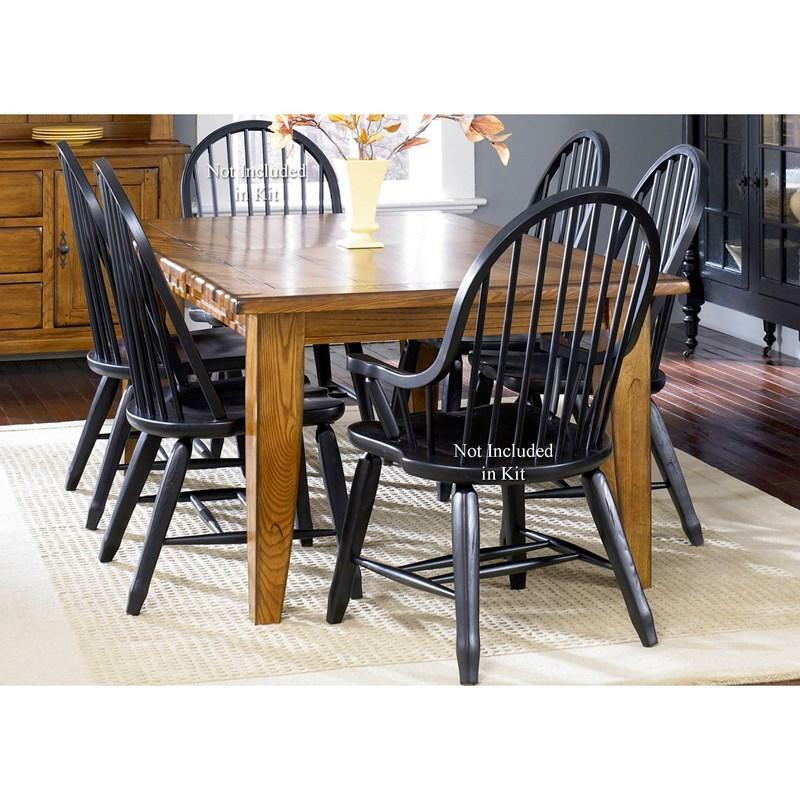 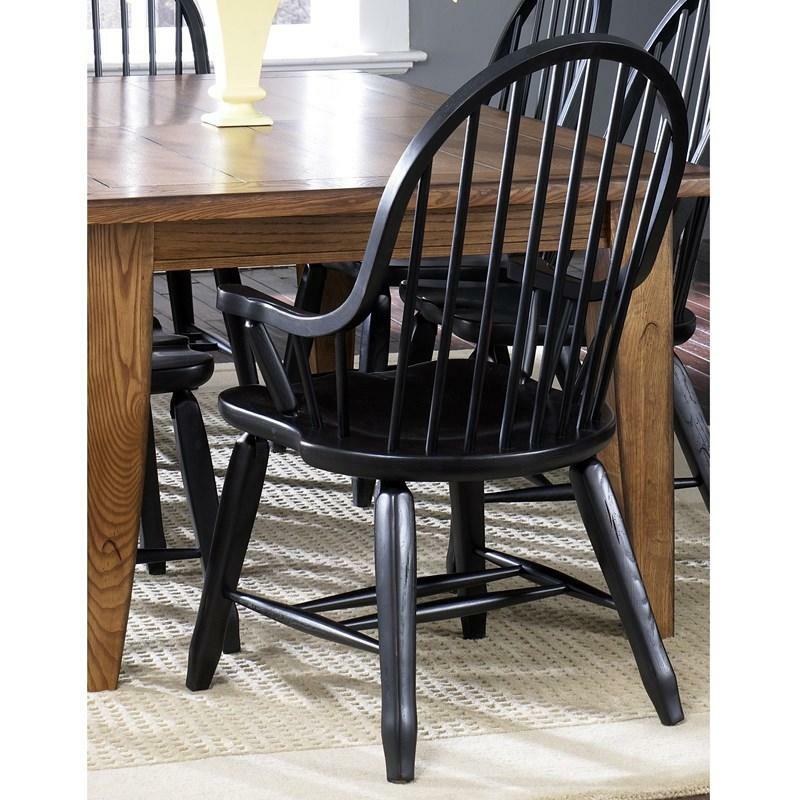 The Treasures Bow Back Side Chair by Liberty Furniture has a farmhouse style with a rustic oak and black finish. 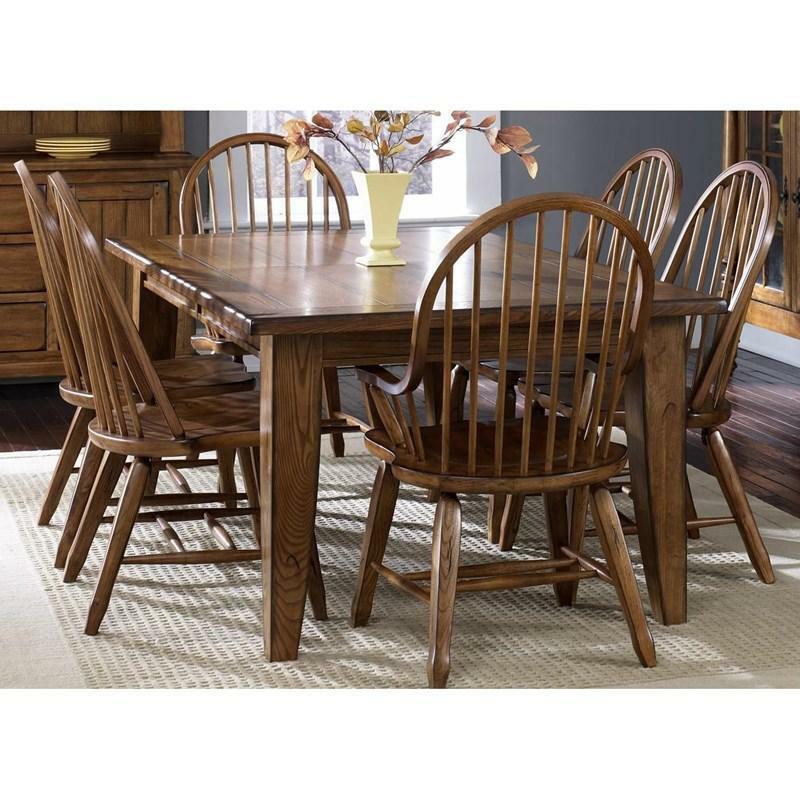 It features hardwoods and ash veneers, and comfortable shaped seats. 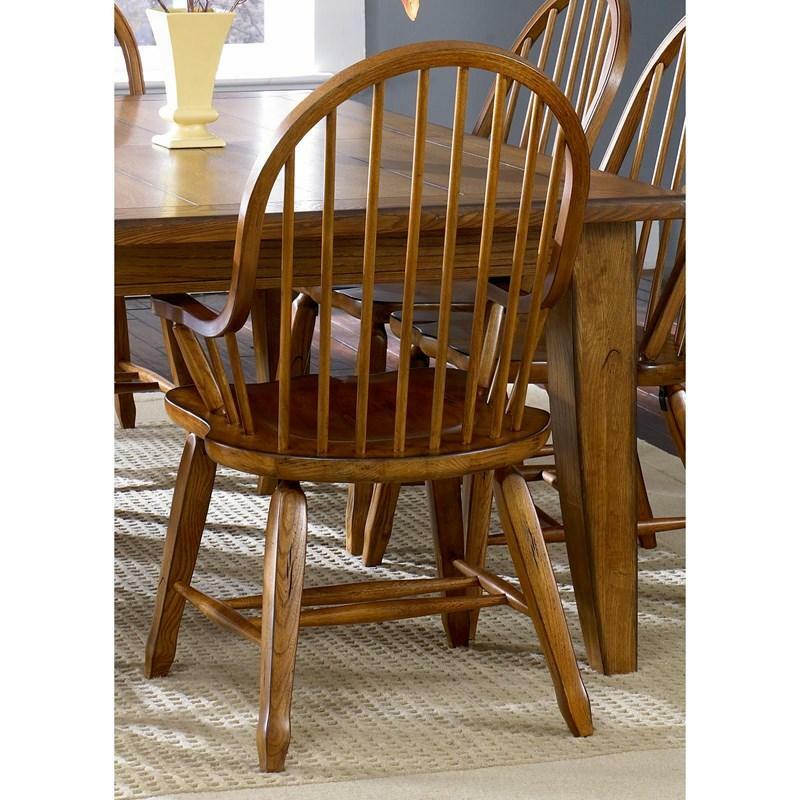 This charming and rustic chair is a great enhancement to the dining room. 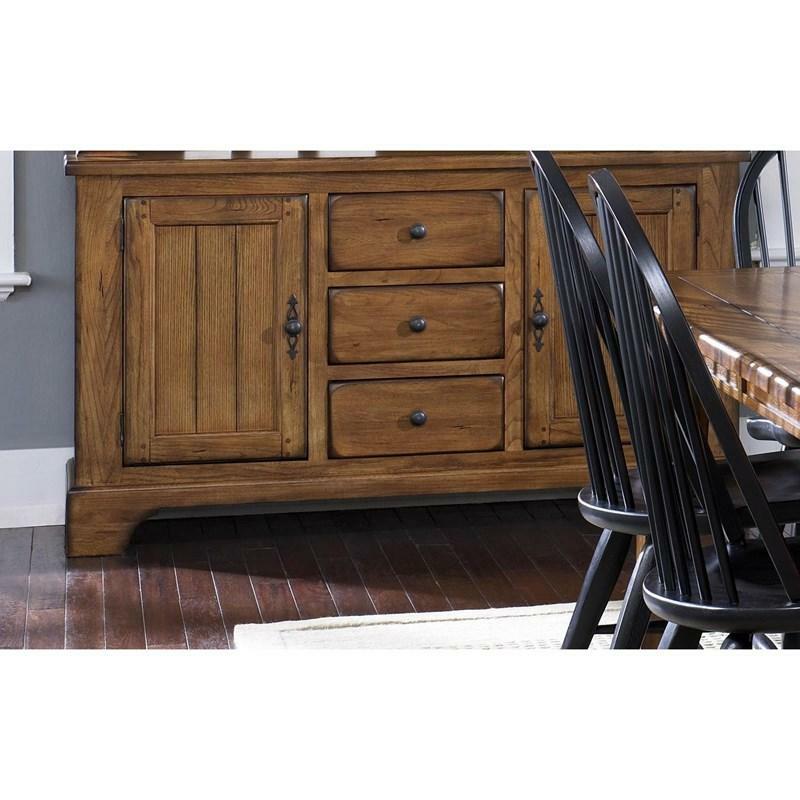 The Treasures Buffet by Liberty Furniture has a farmhouse style with a rustic oak finish and features hardwood and ash veneers, drawers and doors, and storage space. 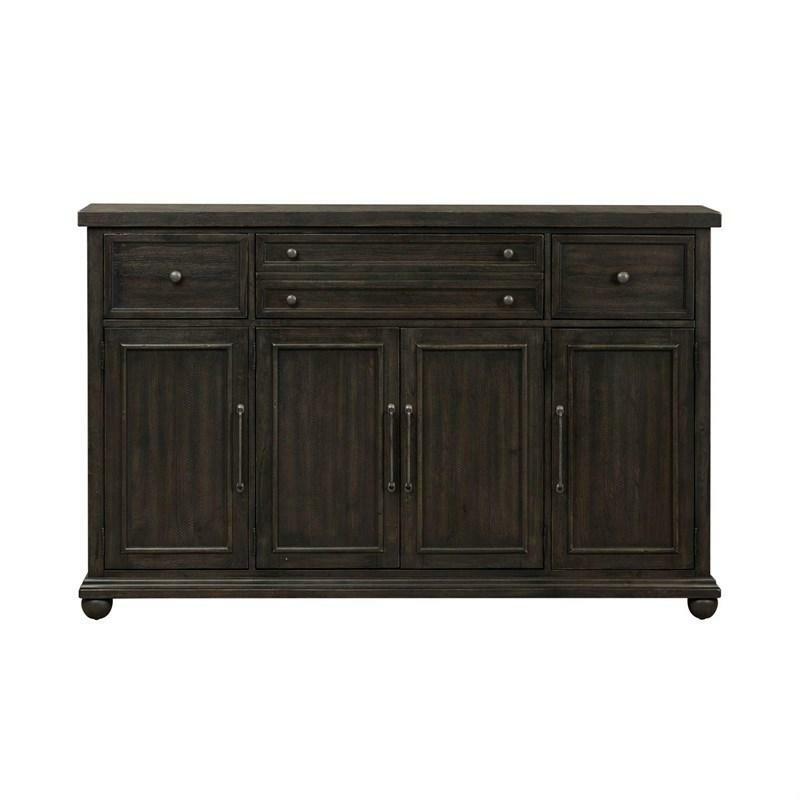 This buffet is a great enhancement to any home. 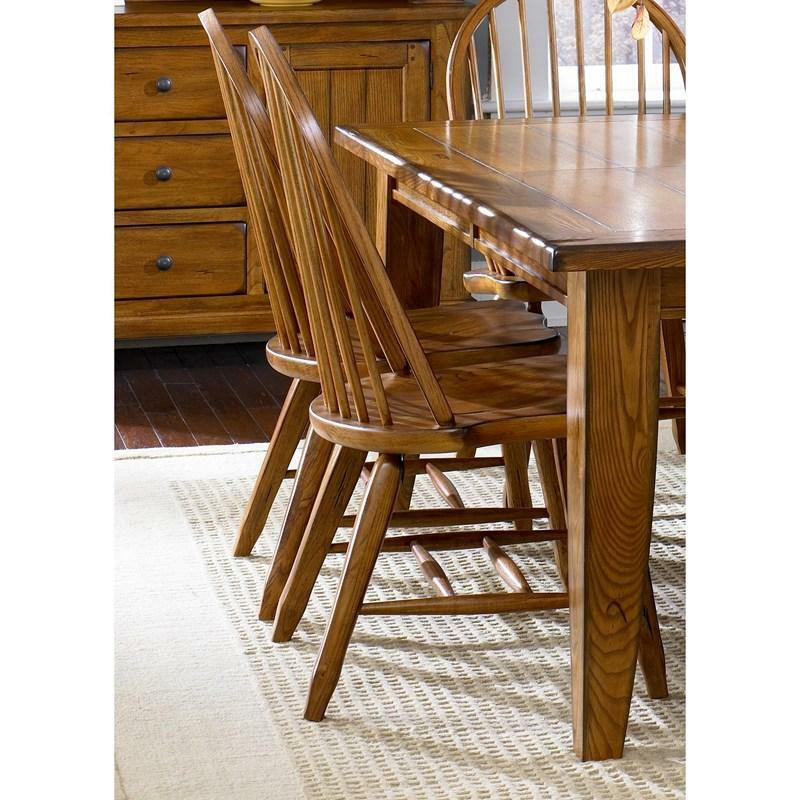 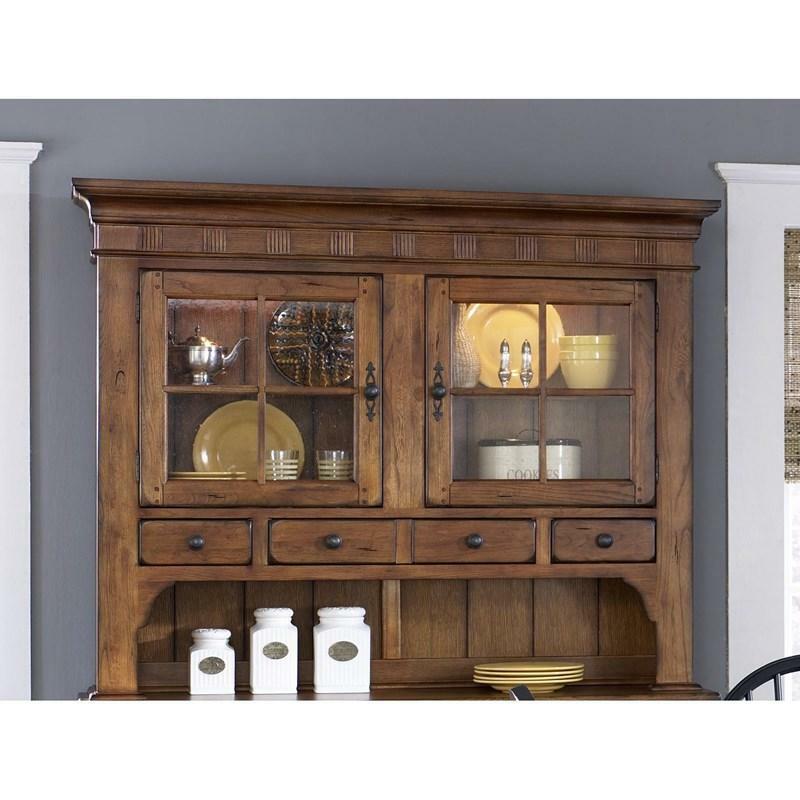 This Treasures Hutch by Liberty Furniture offers rustic style with a country flair and is sure to bring warm and inviting characteristics into your dining room. 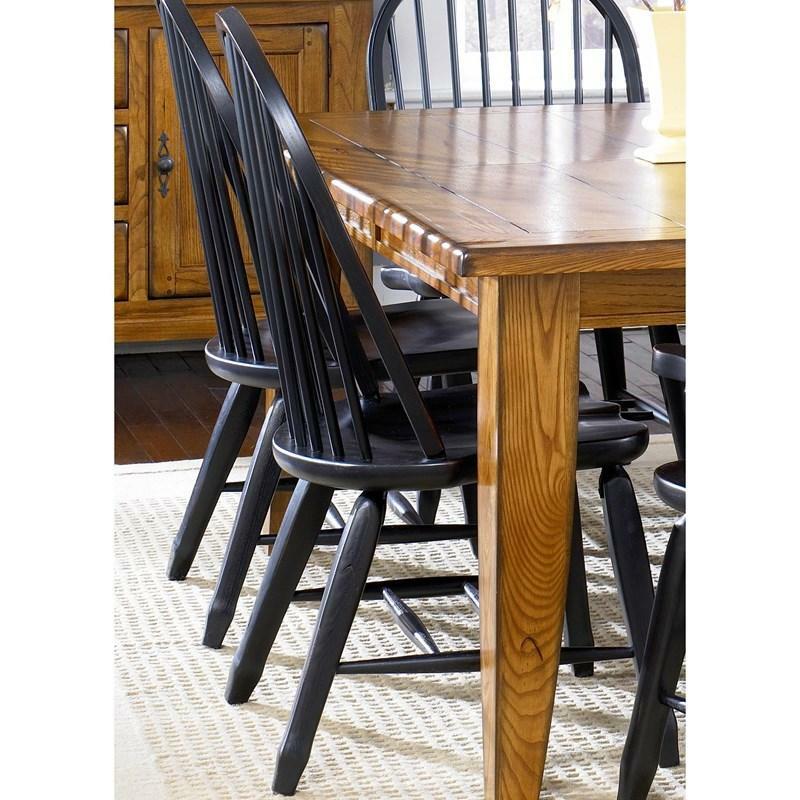 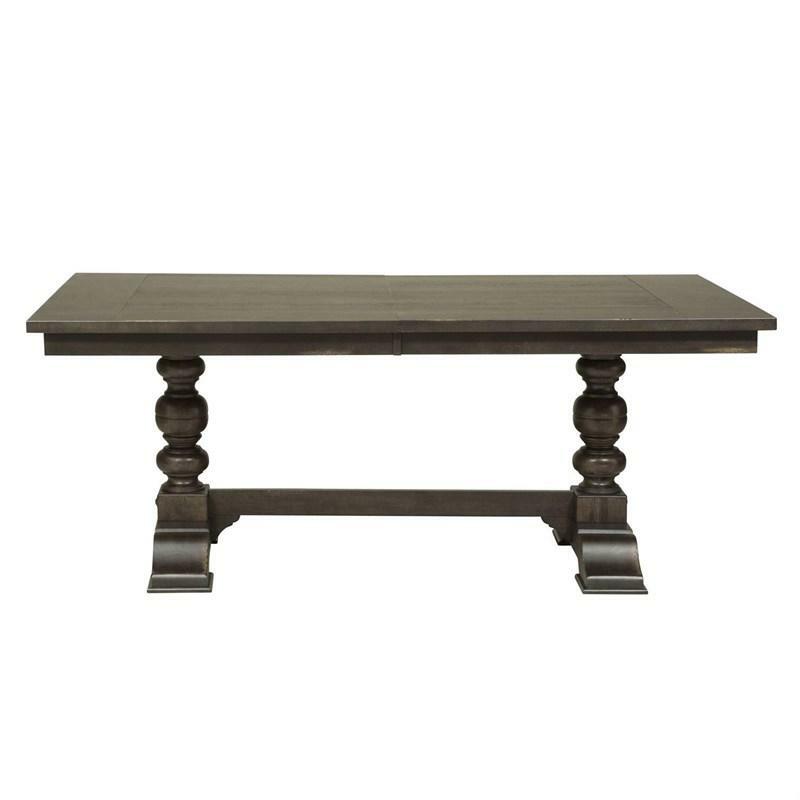 Made of Select Hardwoods & Ash Veneers in a rustic oak finish.